Daikin Split Air System offers energy efficiency, superior performance and comfort. Daikin is a global innovator and provider of advanced air conditioning solutions for residential, commercial and industrial applications. 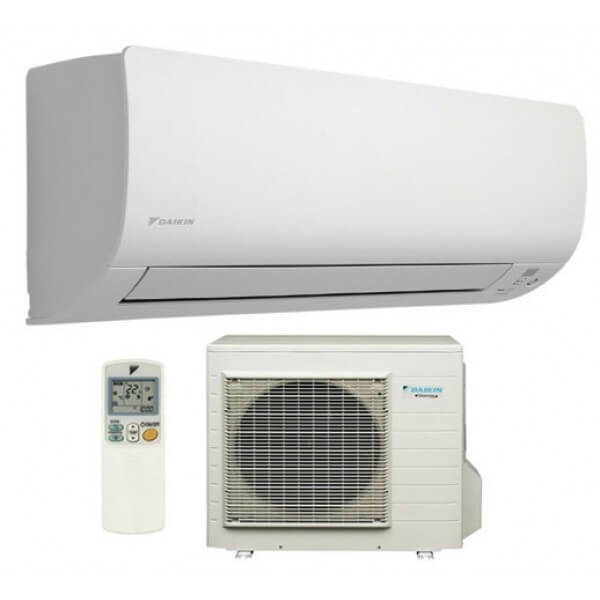 Daikin split system air conditioning refers to an air conditioner consisting of two main parts: the indoor and the outdoor unit. The outdoor unit will heat or cool the temperature while the indoor unit will distribute the air throughout the room. This split system offers energy efficiency, superior performance and comfort in style with the capability to handle all kind of environments and lifestyles. It is a product of super Daikin technology which offers lower environmental impacts and costs. Daikin’s floor standing units are compact and ideal for anyone wanting the convenience and access of positioning their unit closer to the floor. They can even be semi-recessed into the wall or in an unused fireplace. The units use either top or top bottom discharge vents to distribute air evenly through the room. Its advanced technology achieves great energy efficiency which helps in energy savings hence lowering energy costs. 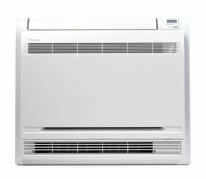 Daikin compact split/multi-split air conditioners easily install to residences where space is limited. The system reduces humidity in the room while maintaining the temperature as much as possible by the micro-processor to suit the thermostat setting and prevailing room temperature. When heating commences, or when changing from cooling to heating, airflow doesn’t start until air is warm, preventing cold draughts. Approved by National Asthma Council Australia’s Sensitive Choice Program.